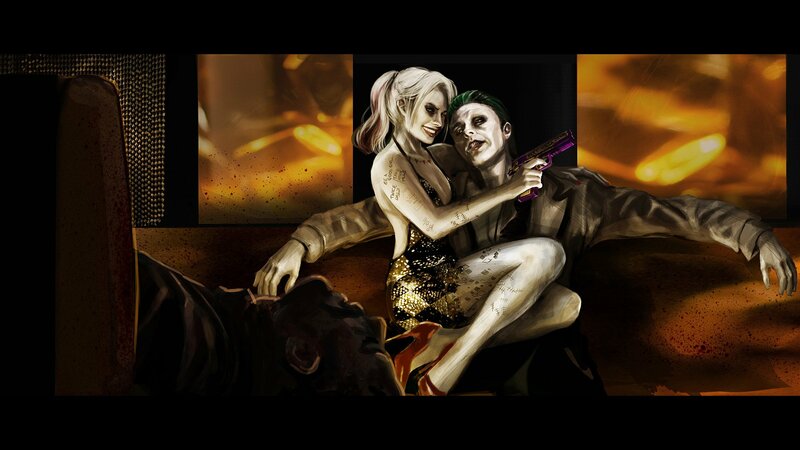 'Suicide Squad' Concept Art ~ Harley Quinn and The Joker. VUDU's exclusive look at 'Suicide Squad' concept art.. HD Wallpaper and background images in the Suicide Squad club tagged: suicide squad 2016 movie film harley quinn the joker joker concept art artwork vudu photo. This Suicide Squad photo might contain fuoco, fuoco, fiamme, inferno, caminetto, stufa, camino, and focolare.